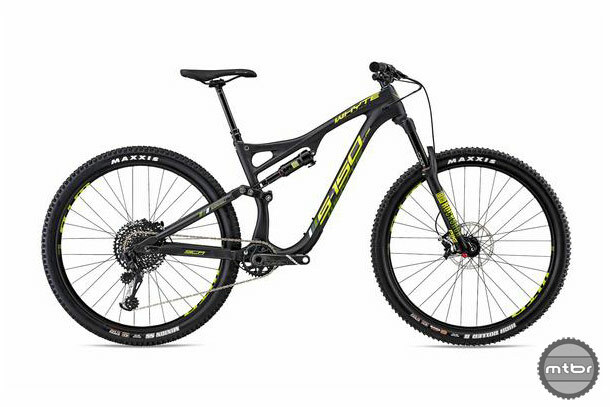 The Whyte S-150C RS only comes in one color combo – matte granite with lime/olive. The 2018 Whyte S-150C RS is an aggressive trail bike with the ability to switch between 29er and 27.5+ wheels. With 150mm travel front/rear, long top tube, and slack 65.6-degree headtube angle, this bike is meant inspire confidence on the steeps. But with its 74.5-degree seat tube angle it should still be pedal friendly. Sporting a carbon front triangle and aluminum rear, the S-150C RS, the SRAM GX build includes a Reverb dropper, Pike RC fork, Deluxe RT Debonair shock, and carbon cranks. Price is an appealing $3999. Press play to get more details straight from the Sea Otter Classic. For more information, visit www.whyteusa.bike. This article is part of Mtbr’s coverage of the 2018 Sea Otter Classic in Monterey, California. For more from Sea Otter CLICK HERE. 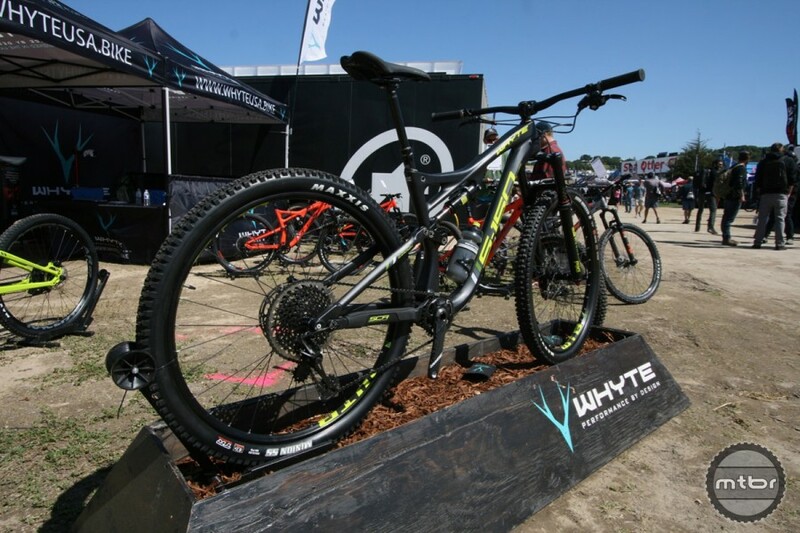 Whyte S-150C RS only comes in 1 color combo. Lucky for us it looks great! Shown in Matte Granite with Lime/Olive.